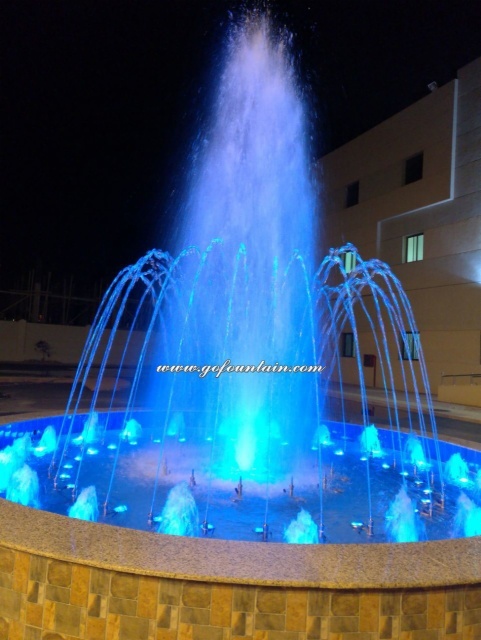 This project is located in Jeddah, Saudi Arabia. 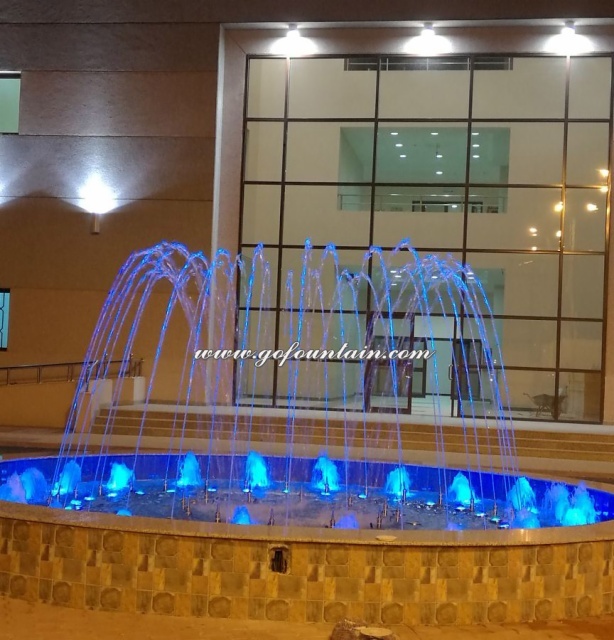 It is a 5.5m diameter program control fountain, consist of 4 different groups of water features, totally 63 nozzles, 66 LED lights and 4 submersible pumps. Pool Dancing Fountain is installed in a concrete water pool. 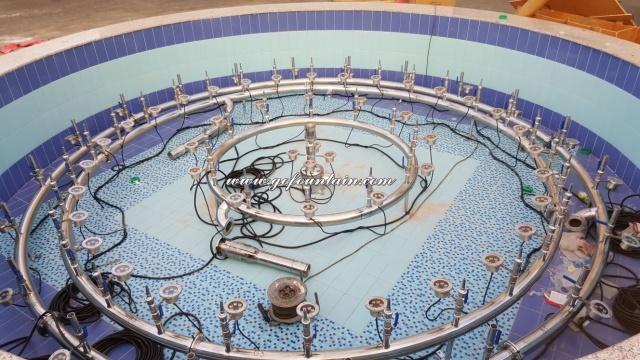 Normally the water pool is artificially made, and the water depth is controllable and fixed. 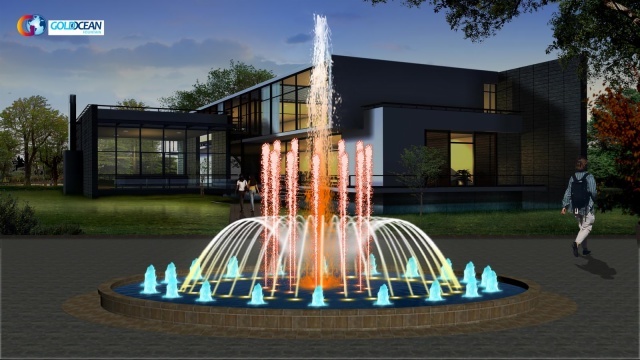 It is the most popular type for fountain. 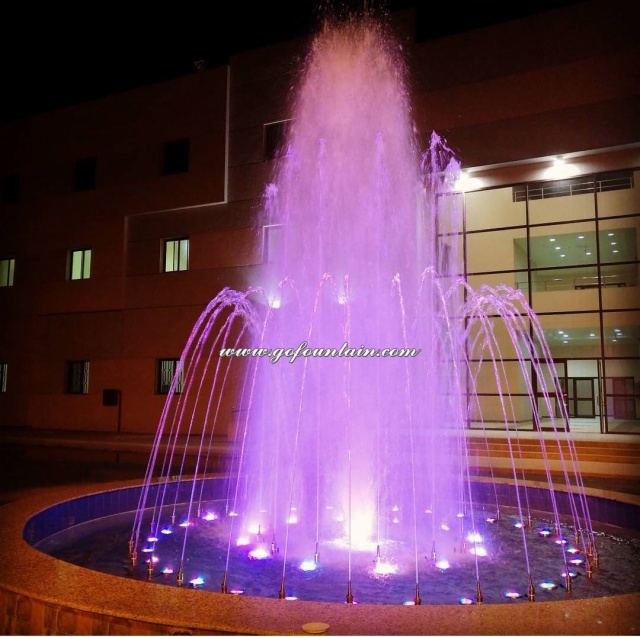 The advantage of PLC fountain is easy operation. 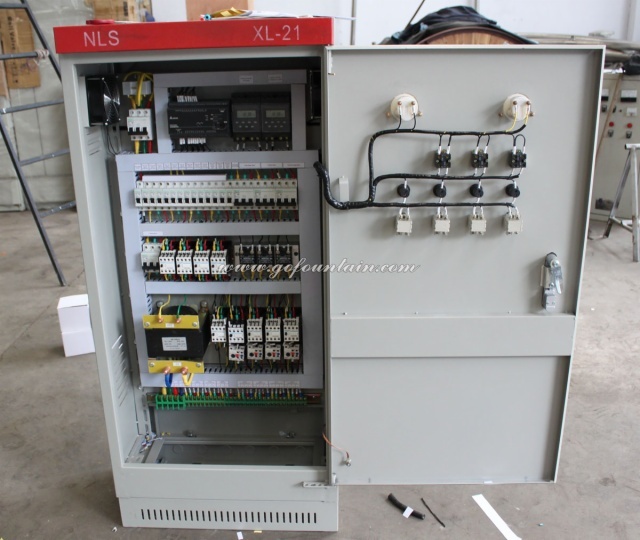 The program has been pre-written on the PLC, and the fountain will work automatically. Meanwhile, it is competitive in cost.